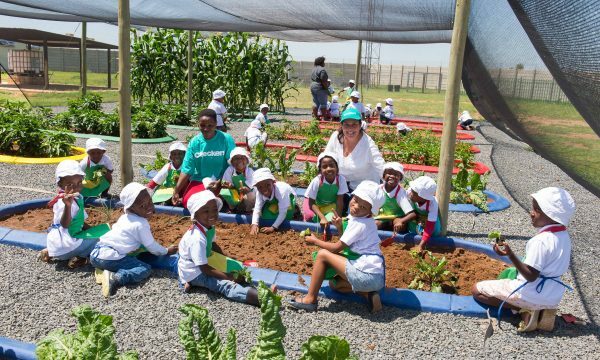 Afrika Tikkun and the family of activist, Sandi Jacobson, celebrated the progress of the Garden to Kindergarten project on Thursday, 8 November 2018 by way of a harvest lunch, shared with the same early childhood development (ECD) learners that have used the garden as a classroom for the past two months. The programme aims to instil a passion for agriculture from an early age while ensuring families learn to be food secure in a changing world. 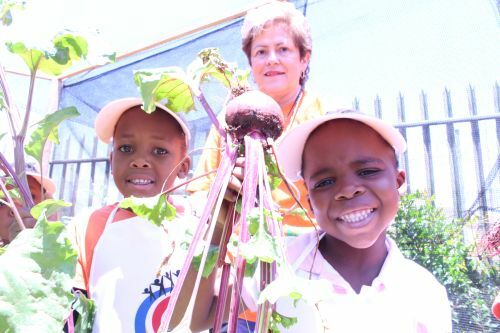 An Afrika Tikkun ECD learner harvests beetroot from the Sandi Jacobson Memorial Garden. Apart from the current political debate about expropriation, the land question in South Africa needs to be considered from three very important perspectives: our communities’ need for food security, ensuring land is economically productive and climate change resilience. 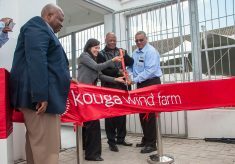 It is particularly important that we ensure this going forward for future generations. 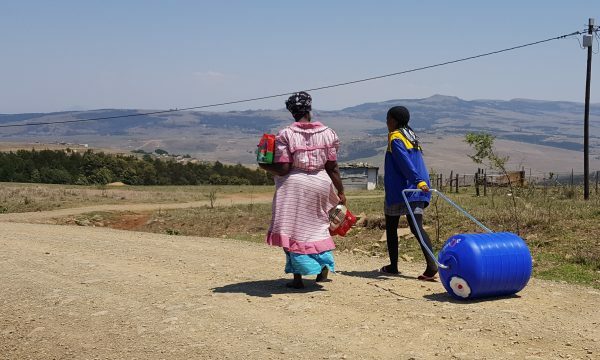 This is why Afrika Tikkun recently launched its Garden to Kindergarten programme at its Centre in Orange Farm – a peri-urban area south of Johannesburg. 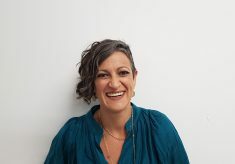 The programme is in memory of human rights activist and struggle hero Sandi Jacobson, who dedicated her life to both early childhood development and vegetable garden skills transfer. Her dreams were devastatingly cut short when she was murdered on 31 October 1997. Now, in her honour, the Garden to Kindergarten programme will see learners aged two to six in Afrika Tikkun’s Early Childhood Development (ECD) classes at Arekopaneng Centre in Orange Farm get involved in the garden. They will learn about the importance of the environment, the lifecycle of plants, how that same fresh produce is part of their daily sustenance and about healthy eating in general. In addition, the programme’s objectives include teaching responsibility and patience, enhancing fine motor/coordination development, and introducing the concept of sustainability. It will also provide an opportunity for teaching across learning disciplines such as maths, science, art, physical education, social studies, and personal and social responsibility. 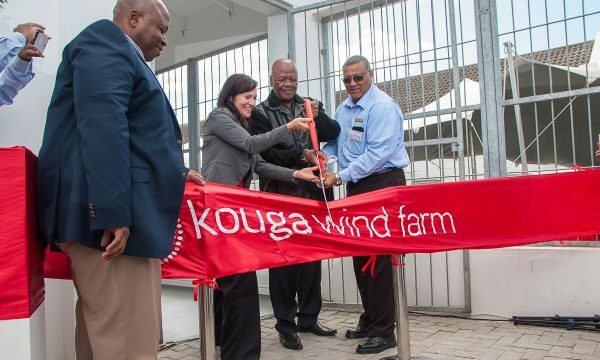 “As these young learners grow older they will have learnt valuable gardening and agricultural concepts that could benefit them in future from an employment and entrepreneurial point of view, which is not a bad thing given the current levels of unemployment in the country. 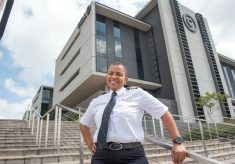 We look forward to growing our young people’s future – one passionate gardener at a time”, says Onyi Nwaneri, Afrika Tikkun Group Executive of Partnerships and Marketing. The programme educates the Grade Rs, their parents and their teachers. 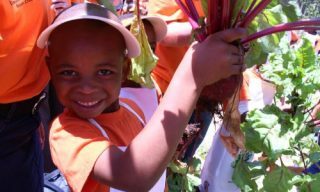 At school, teachers are taught how to integrate organic gardening into the curriculum and at home, parents can cultivate gardens with their children so that as they grow up children can develop lifelong abilities in the garden. For all the above reasons, the Jacobson family along with Afrika Tikkun launched the Garden to Kindergarten programme at the Arekopaneng Centre of Excellence in Orange Farm on 31 August 2018. After a few short weeks, the children are starting to see the growth of their garden. At the harvest launch on 8 November 2018 guests were treated to a tour of the garden and a lunch made from the garden’s first batch of produce. 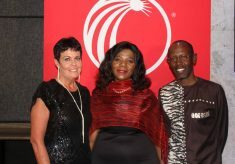 R350,000 was raised to fuel the first year of the programme – run from Orange Farm only – with the current campaign aiming to raise funds to continue the programme indefinitely and roll it out at Afrika Tikkun’s other four Centres of Excellence in Joburg and Cape Town in future. 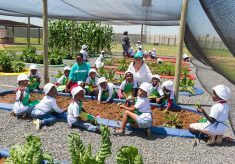 The official launch of the programme was held at the Arekopaneng Orange Farm Centre on Thursday, 8 November 2018 with a harvest lunch and tour of the garden with ECD learners and the Jacobson family. For more information on the Garden to Kindergarten campaign specifically, visit www.afrikatikkun.org/garden-to-kindergarten.